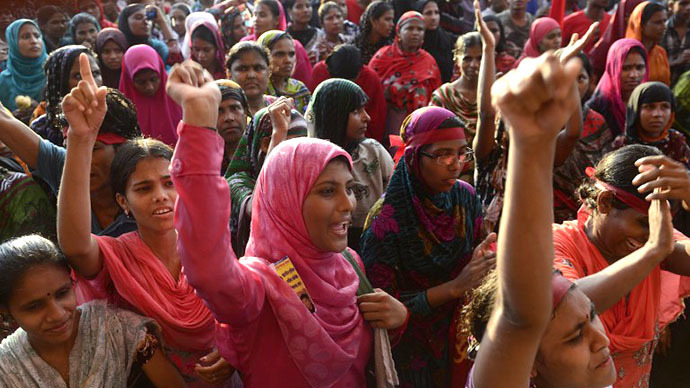 Tens of thousands of garment workers have downed tools and taken to the streets to urge the government for an increase in the minimum salary. 4 million employees work in the country’s $20-billion garment export industry - 60 percent goes to Europe - and earn about $38 a month. They are demanding a raise to $103 a month. Earlier, the Bangladeshi government agreed to a 20 percent increase, but the workers called the raise "inhuman and humiliating." 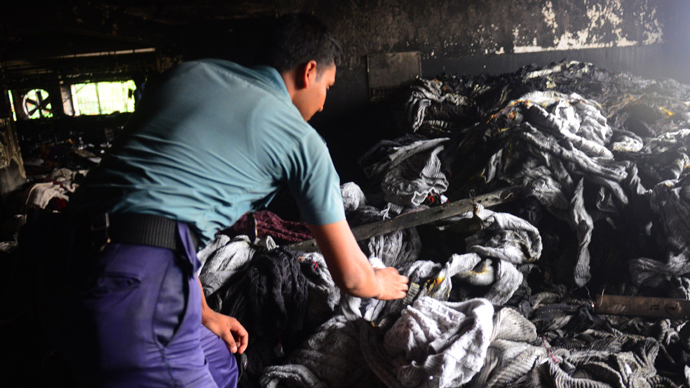 "Our backs are against the wall, so we don't have any alternative unless we raise our voice strongly," Nazma Akter, president of the United Garments Workers' Federation told protesters. "We will not hesitate to do anything to realize our demand. We are not the object of mercy, the economy moves with our toll," Reuters reported her as saying. “The rally lasted four hours and has been the largest gathering of its kind to realize their demand for raising wages," according to Dhaka Metropolitan Police Chief Habibur Rahman. Over 300 factories near the capital closed as employees staged a walk-out, blocking a highway and damaging a few cars. The highway was blocked by at least 10,000 employees, according to local police. Several nearby factories were also vandalized by the protesters, which caused a halt in production. Meanwhile, the country’s leadership has been negotiating with the demonstrators and the factory owners. The factory owners are strictly against the raise, because their Western customers are used to buying cheap clothing from them. The last time the government increased the minimum salary was in 2010, when they almost doubled it. 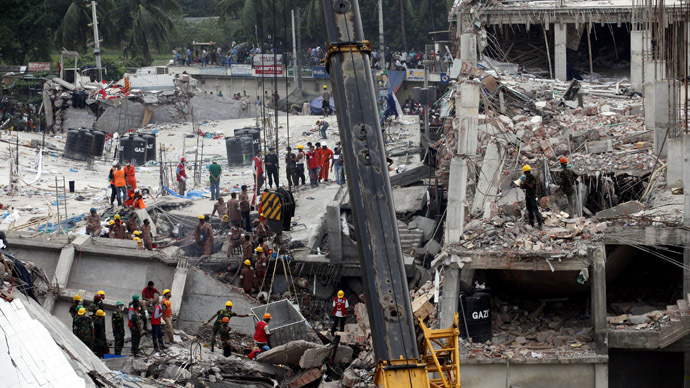 In July, Bangladesh gave a boost to workers’ rights, after a factory building collapse three months earlier leaving over 1,100 people dead. 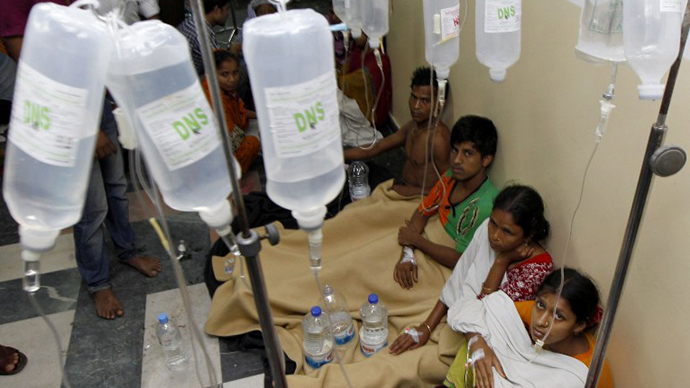 Furthermore, In June, hundreds of workers were rushed to hospital after drinking contaminated water. 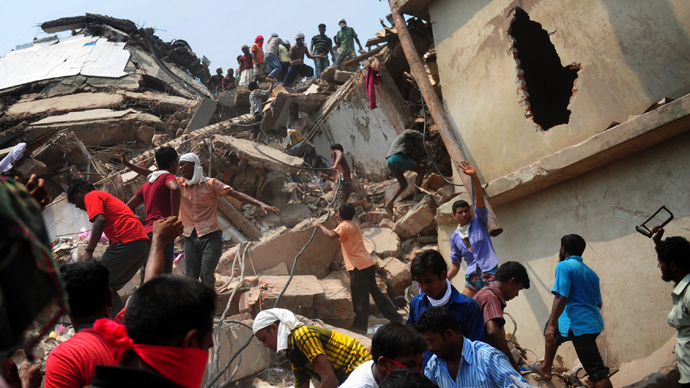 Bangladesh is also facing pressure from the EU, which threatened the country with sanctions, unless workers’ safety standards are improved.